Resilience is essentially having the ability to prepare and adapt to changing conditions and recover in a timely manner when disruptions occur due to a significant event. A significant event could be a variety of things from an earthquake, hurricane, snow storm, or any other event that disrupts a large utility footprint. To prepare for these events, a risk-based approach can help identify potential threats, develop preventative steps and minimize damaging effects. The resilience of a system can be attributed to this risk-based approach of the system reliability. It’s important to understand what infrastructure resilience is and what it means for utility companies. Resilience, when talking about utility infrastructure specifically, refers to its ability to mitigate base load power loss and recovery time during a natural disaster or significant event. This incorporates the ability to absorb the effects of the event that took place (earthquake, wind, rain, etc.) and the timing to get service back up and running quickly. Resilience in utility infrastructure is the ability to mitigate base load power loss and recovery time during a natural disaster or significant event. Today’s models quantify the financial risk of unreliable utility infrastructure. Think of it like this. An aging transmission is much more vulnerable to daily failures than a newer system would be, resulting in a high financial risk. As the current utility infrastructure continues to grow older each day, companies are beginning to consider these risks when building the future. Another thing that utility companies have to take into account when replacing the old, outdated infrastructure of the past is how to plan for future storms and unknown events. One way we are seeing this happen is by installing buried electrical wires rather than traditional above-ground wires. This is becoming a trend because when a storm or other event occurs, the wires are protected from the elements, debris, and falls trees – lessening the chances (or risk) of an outage. This model predicts and estimates consequence risk for all fuel types, including natural gas and oil. It quantifies these consequences in dollars of the total risk related to non-resilient systems in an effort to compare the different types of power systems available. Additionally, it quantifies the financial risk of more than just the loss of base load power. Considerations around risk factors such as employees working in hazardous conditions, essential systems failing, and economic impacts are a part of the current model. Although these current models are acceptable and can help decision makers understand the impact of non-resilient systems, there is more research and development needed to define a more accurate model. There are a number of ways to build redundancies to improve resilience when it comes to power systems. Here are a few options that can help build redundancies in utility infrastructure. 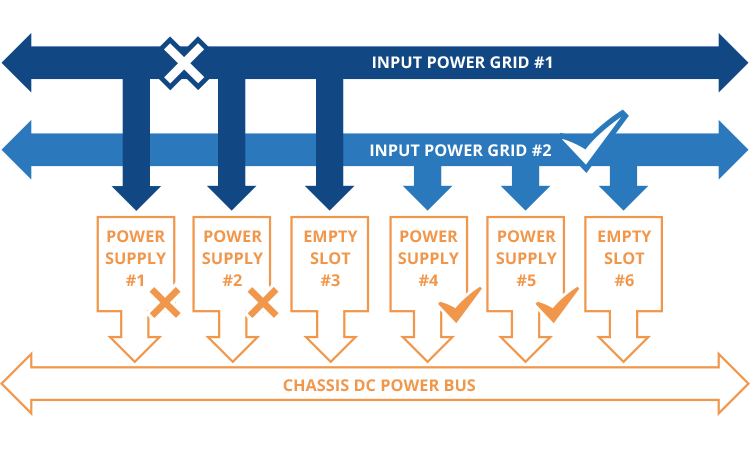 Implementing multiple system lines helps to build redundancies into power transmission lines and have additional power systems connected to the grid. This hardens the grid in case one system must be taken down or is knocked out of service for a period of time. Think of this process as a tree branch. There is one main branch that holds together multiple smaller branches. If one of those smaller branches cracks or falls, the connected leaves and stems fall as well. But, the main branch itself will not fall just because this smaller branch has. The main branch will still hold many other smaller branches and will not die. Now, think of that same idea, just with power plants. There are many power plants that are connected together so that if one is out of service, or unable to operate, there is a plant to provide backup service. For smaller events, there are loops built into the power grid to mitigate the total number of individuals who lose power. For example, leading up to Hurricane Florence, nuclear stations were forced into a safe shutdown mode due to the unsafe conditions of the storm. To compensate for this shutdown, the power company used their backup plants, called peaker plants, to provide the needed power prior to the arrival of the storm. In some cases, a major weather event may be too catastrophic for this process to work. After Hurricane Florence and Harvey, the damage was too widespread and there was no amount of redundancy that could have kept power online. After a massive hurricane event, the only remedy for power restoration is detailed planning, quick response times, and lock step execution. Utilizing multiple transmission and power systems can help build a stronger, more redundant utility system. Each piece and part of the puzzle that makes up a redundant system is an added protection layer for the main source of energy. This way, if something were to go wrong or break with one section of the system, the entire system isn’t taken down with it. Because the energy grid is so large, the potential to transmit energy across the grid to distant locations to meet demands is a very real scenario. The large network also allows companies to anticipate potential energy losses while continuing to meet electricity demand. As an added benefit, lines are interconnected to increase the reliability and redundancy of the electric supply transferred. As you’re probably aware, power can be created in a variety of ways including, coal, nuclear, natural gas, wind, and solar power. Each of these types of power provides different pros and cons. These different types of power are often called into action to work simultaneously to keep the system running as effectively as possible. That is where we jump into the concept of base and peak loads. To understand this next step to building a redundant network, you have to understand the concept of base and peak loads. Base load is the minimum amount of electricity needed over a specific time period. These requirements do not often change and are generally a continuous amount. This is when energy is used at a normal rate, with no unusual or additional energy-requiring steps. Think of it as your home when you are not there. On the other hand, peak loads are when energy use spikes during the day. This is when the most energy is being consumed and demand is higher. So, when you come home from work and turn on the lights in multiple rooms, start cooking, and turn on the TV, you now require much more power. But, you only use this higher amount of energy for a few hours a day and it’s not needed once the lights and TVs go off. This is where the base and peak loads and the type of power used meet. Coal would be an example of a base load energy source. It takes longer to reach its full energy producing levels, but when it does, it stays consistent. Natural gas would act as your peak load – quickly jumping in when extra energy is required. By increasing the number of backup peak load plants, it offers an additional layer of redundancy for electricity demand and helps fill potential service gaps. The more layers available in the system, the less likely there is to be a disruption in the power service. Having a resilient supply chain is beneficial in any scenario, but when a crisis happens, it becomes critical. Focusing on supply chain resiliency will allow for proactive planning and better response times when the crisis occurs. A supply chain can be another level to your redundancy plan to help get service levels back to pre-disaster levels. Although it can’t predict everything, having the proper plan in place can mitigate risk during a significant event such as hurricanes or other natural disasters. Infrastructure should be a big part of the pre-storm planning process to assure that the necessary resources are on standby to respond and quickly bring base load back online. This all begins when selecting a supply chain management partner. Working with a partner who has proven experience and reliability will leave you better protected when disaster strikes. Make sure your supply chain partner can improve system redundancy by providing the resilience you need. 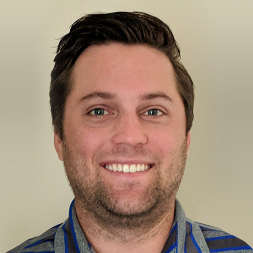 Kent is a project manager focusing on Utility generation support and program facilitation at WESCO. He focuses on creative problem solving using cross-functional teams and data analytics for root cause identification. We’ve always known the internet as the web – but how does big data fit into this intricately woven design? Think of big data as every little detail that goes into this web, and then some. It’s the simplest and the most complex sets of data all in one space. Now, multiple that by 2.5 quintillion – that’s how many bytes of data are in our web.